World Internet Projects is a company that specializes in the development, publication and distribution of casual games, reaching players all over the world. Wiprojects invests in companies in the media, Internet and entertainment industry. 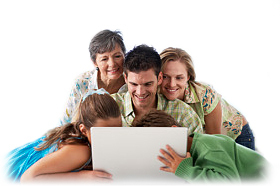 We develop casual games for kids, teenagers and the entire family for several websites. Our game sites attract more than 3 million users by month and they are translated in to four languages. We are a leading company in developing online multiplayer games in Spanish and English. We are proud of providing free and high-quality online games to our visitors, giving marketing and advertising solutions to the companies that advertise with us.